Munatius Faustus notably had two tombs built for him and his wife. 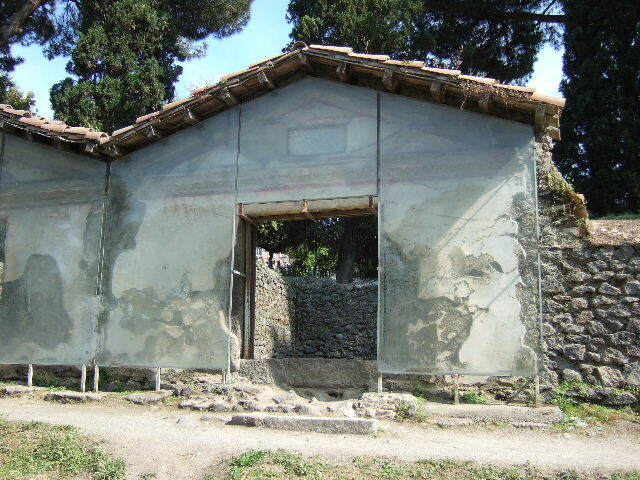 The first, built before his death, was much more simple and located at Pompeii’s Nuceria Gate. 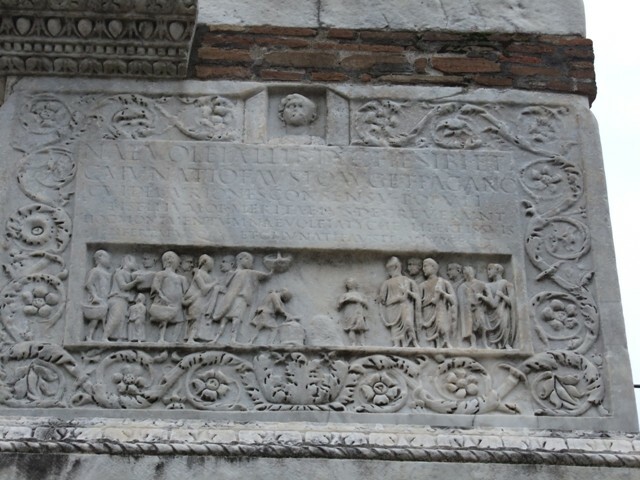 This first tomb is what is usually referred to as the Tomb of Munatius Faustus. 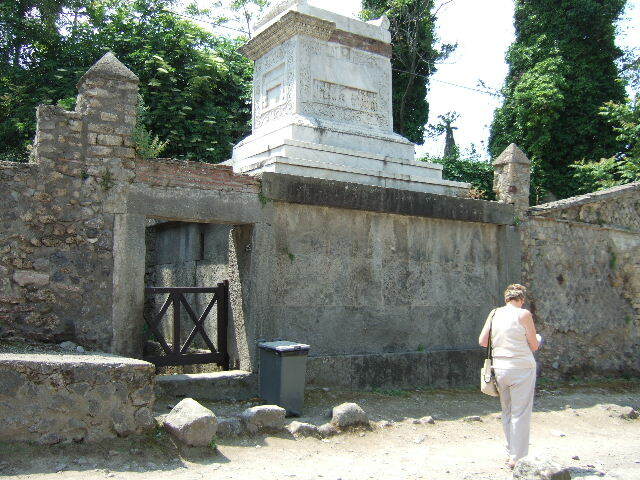 However, after Faustus’ death, his wife Naevolia Tyche had a new tomb built at the Herculaneum Gate to honour the fact that he had received a bisellium (double seat at a theatre/amphitheatre) for his contributions to the community. The bisellium was detailed as a decoration on part of the tomb, while the other side had an inscription honouring Faustus himself. 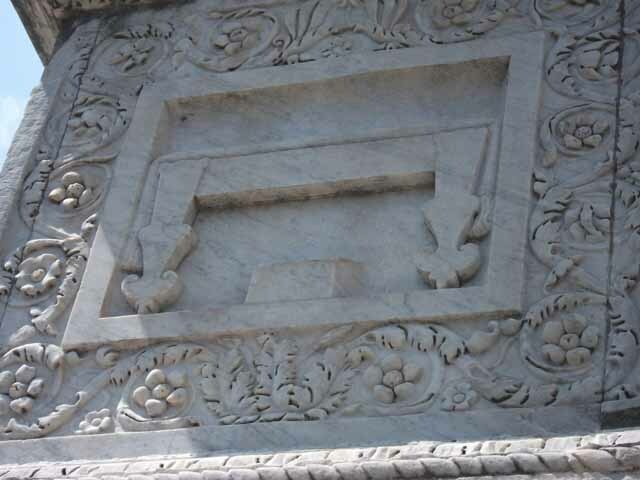 This second tomb is often referred to as the Tomb of Naevolia Tyche. Faustus was a freedman and a member of the Augustales, a religious organisation that worshipped the Emperor Augustus and allowed members of his class to become priests, whereas in the official Roman religion freedmen/women would not be allowed this honour. 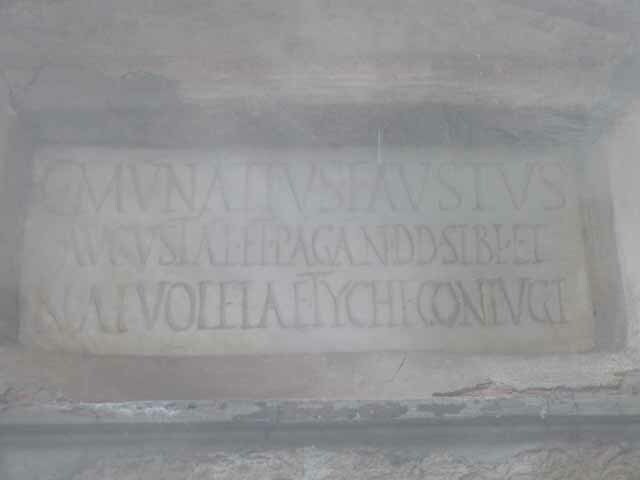 This inscription at the first tomb honours Faustus’ involvement in the Augustales. “Naevoleia Tyche, freedwoman of Lucius Naevoleius, for herself and for Gaius Munatius Faustus, member of the Brotherhood of Augustus and suburban official, to whom on account of his distinguished services the city council, with the approval of the people, granted a seat of double width.